The South West Four Festival takes place on Clapham Common in London. Originally conceived as a one off party for local residents and party heads in 2001, it became an official date on the UK calendar in 2004 when it premiered as a one day event. It has since expanded to cover two days of Dance music based fun in late August. Tickets can be purchased for just one of the days or the whole weekend. 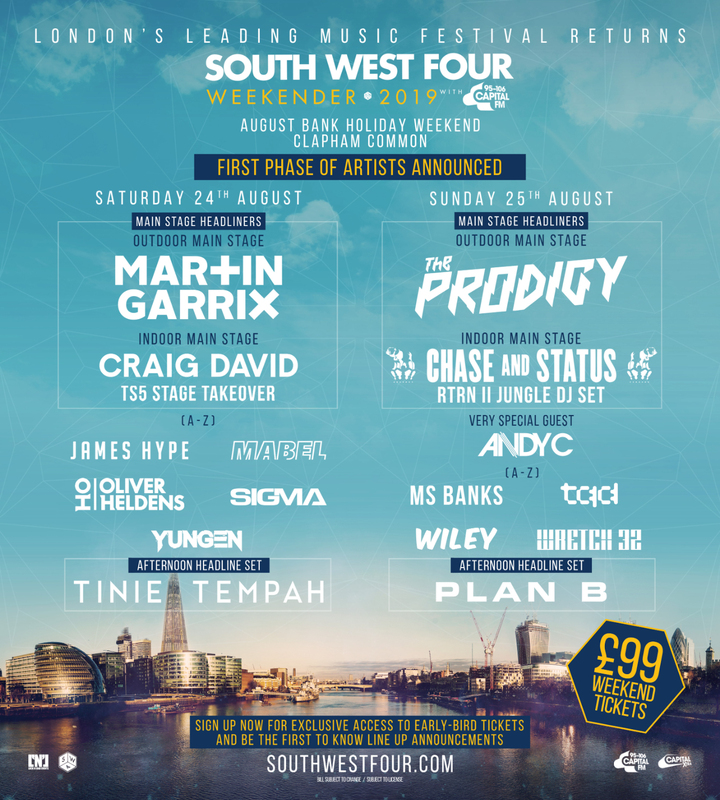 SW4 is dominated by Dance music. There’s plenty going on for fans of all genres celebrating the true diversity of London’s Electronic Music scene. Expect a range of the top club DJs playing the capital’s Urban sounds and selections alongside some of the more well known Balearic names. It’s beats, breaks, boom and bass all the way with this party, so expect to have it from the moment you step foot on the site. This event takes place in the day-time with sound systems shutting down at 10pm. Party people looking to further extend their buzz after the noise stops can find plenty of thrills and spills in the capital with the Ministry of Sound and Electric Brixton clubs providing late night spandangles on consecutive evenings. Vibe-wise you can expect to rub shoulders with the cool crowd at this top event who will have definitely turned up to let their hair down over this crazy party.